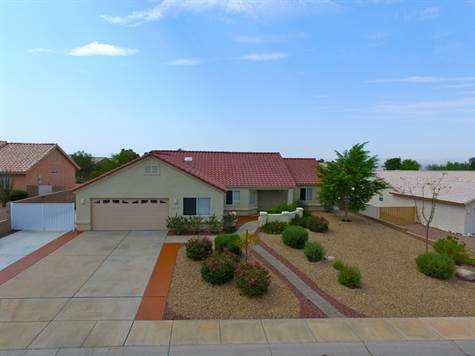 Freshly Updated & Well Cared for Home in Arroyo Vista Estates! This Home has a large Master Suite, Walk In Shower, Jetted Tub, 2 Guest Bedrooms and a Large Den that can be used as a 4th Bedroom. Sellers have recently redone just about everything!! Just to name a few of the upgrades they have new Kitchen Countertops & Backsplash, Tile Flooring, Concrete work and all Landscaping! Looks like new inside and out! The spacious lot offers RV parking with Full Hook Ups and you also will get to enjoy use of the Community Pool, Jacuzzi, Park and Playground! This Home is Clean and a MUST SEE! !